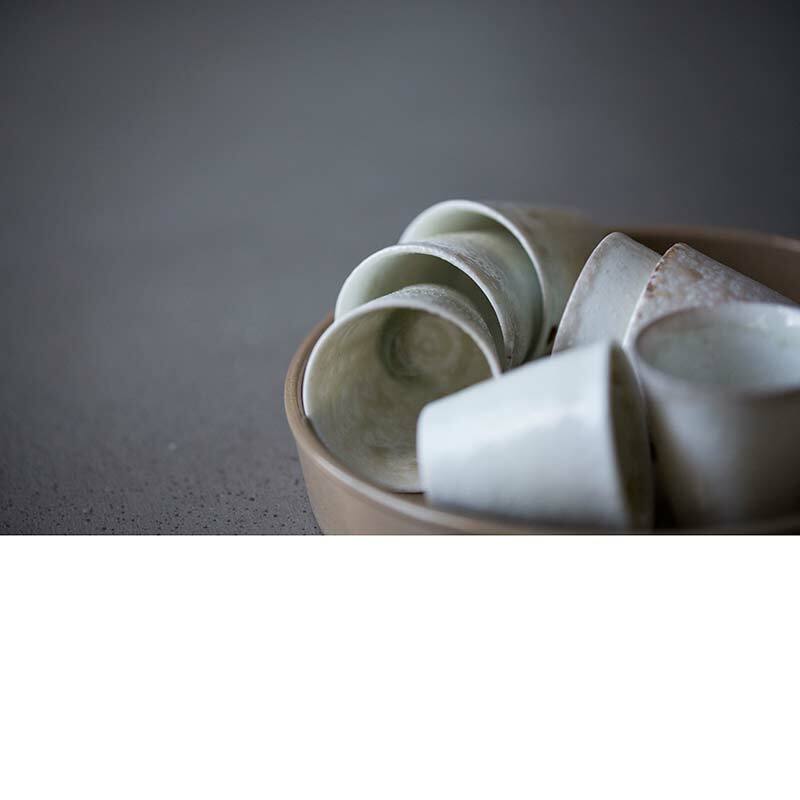 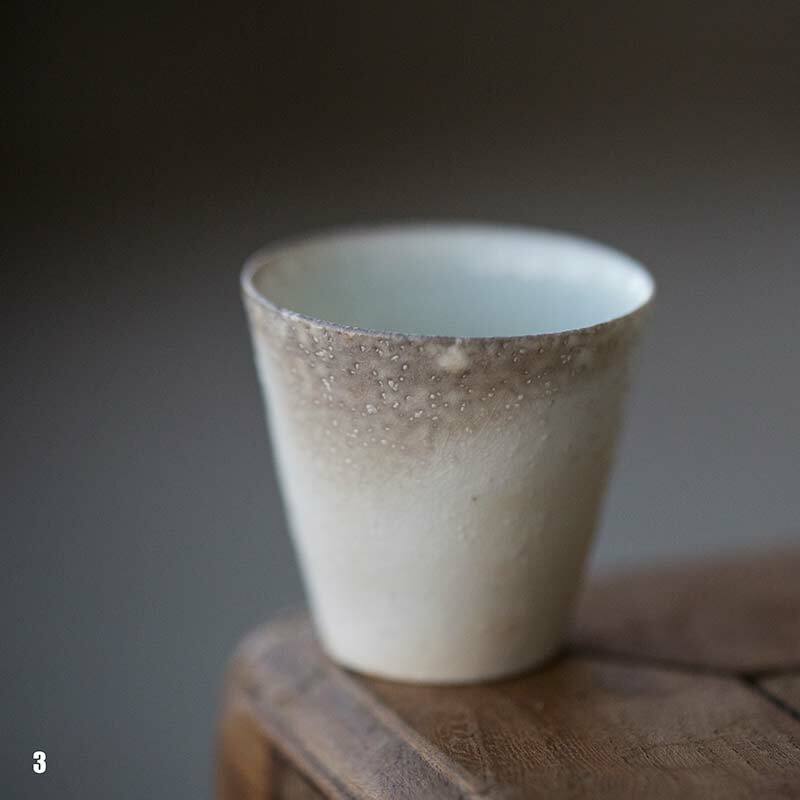 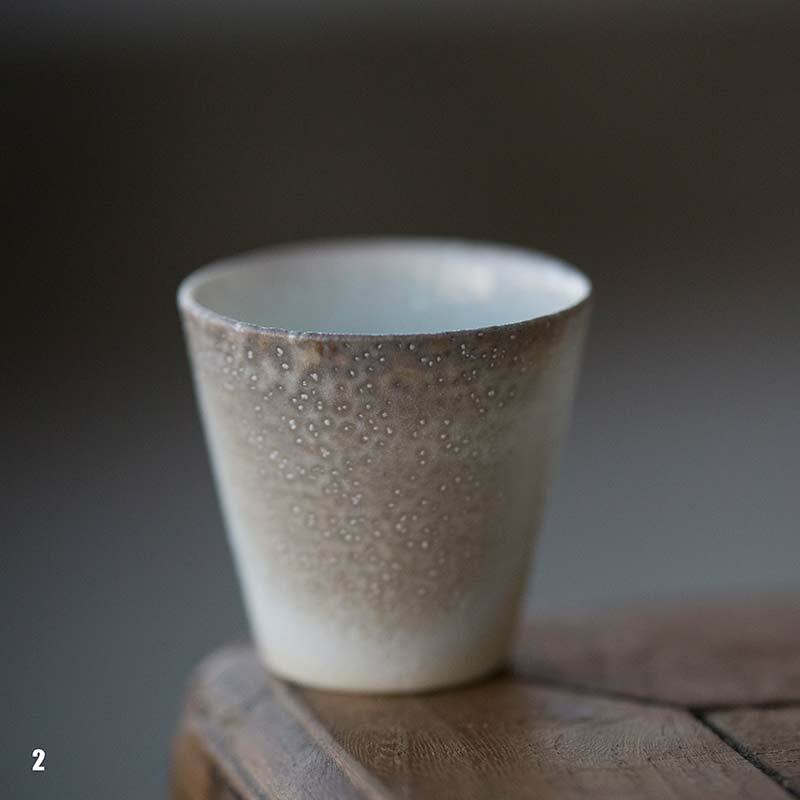 As with the other pieces from this series, these unglazed, wood fired teacups feature an understated, yet refined appearance, with a white base, smoky colour and even touches of green. 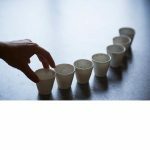 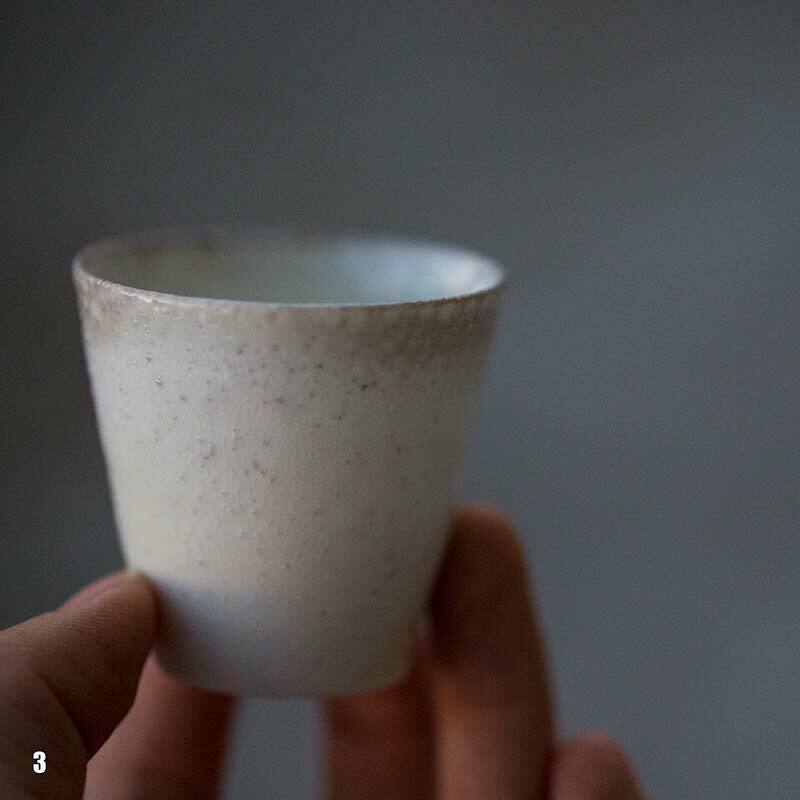 These each hold approximately 40ml of liquid and make for excellent aroma cups. 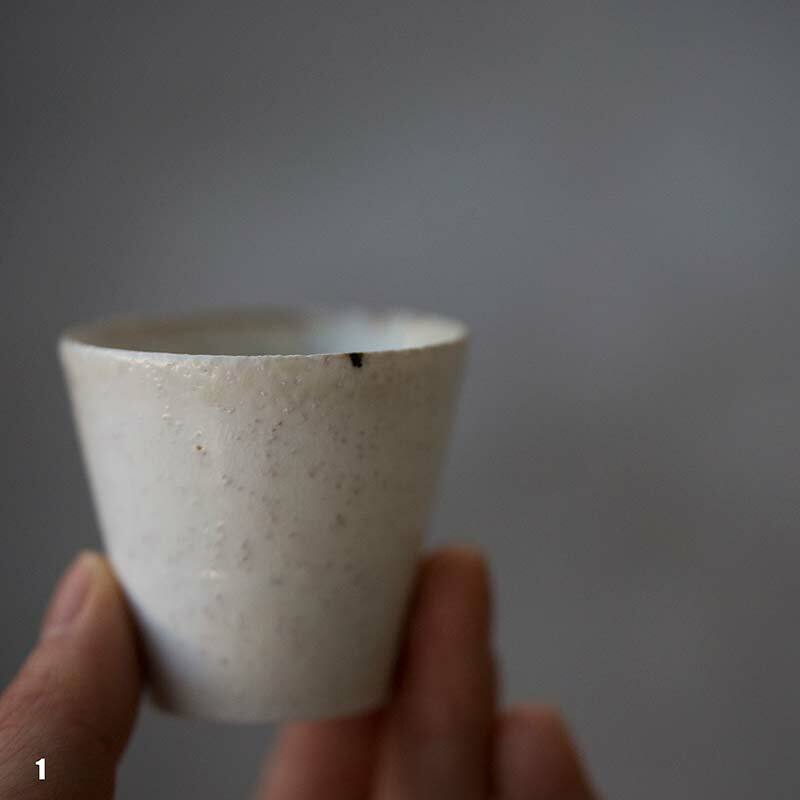 Although these pieces are unglazed, they were wood-fired at a very high temperature for several days straight, resulting in a vitrified surface. 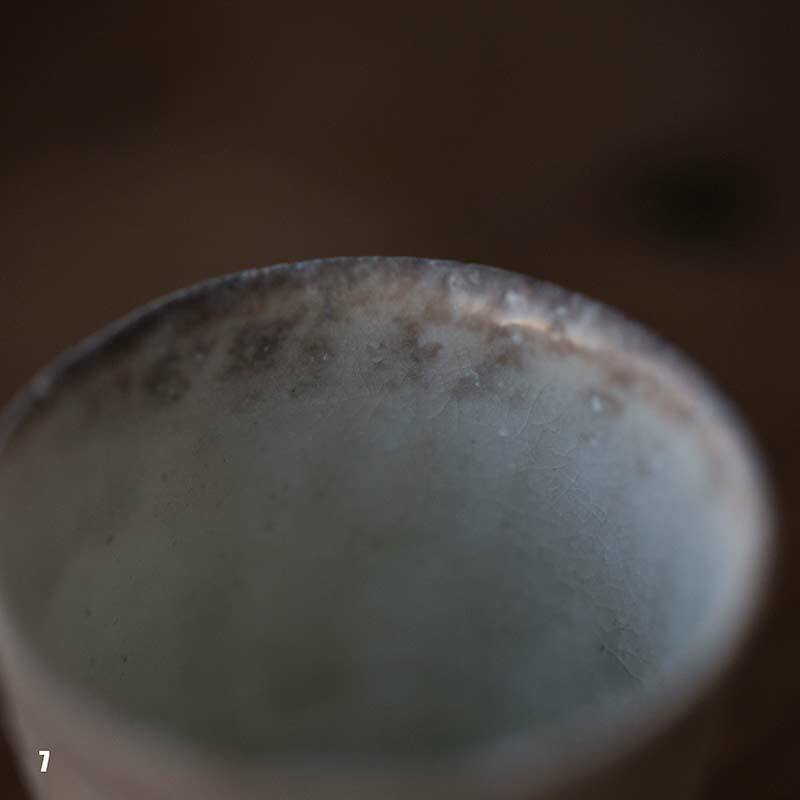 Therefore this pitcher can be used with multiple types of tea, as the inner surface is not necessarily porous. 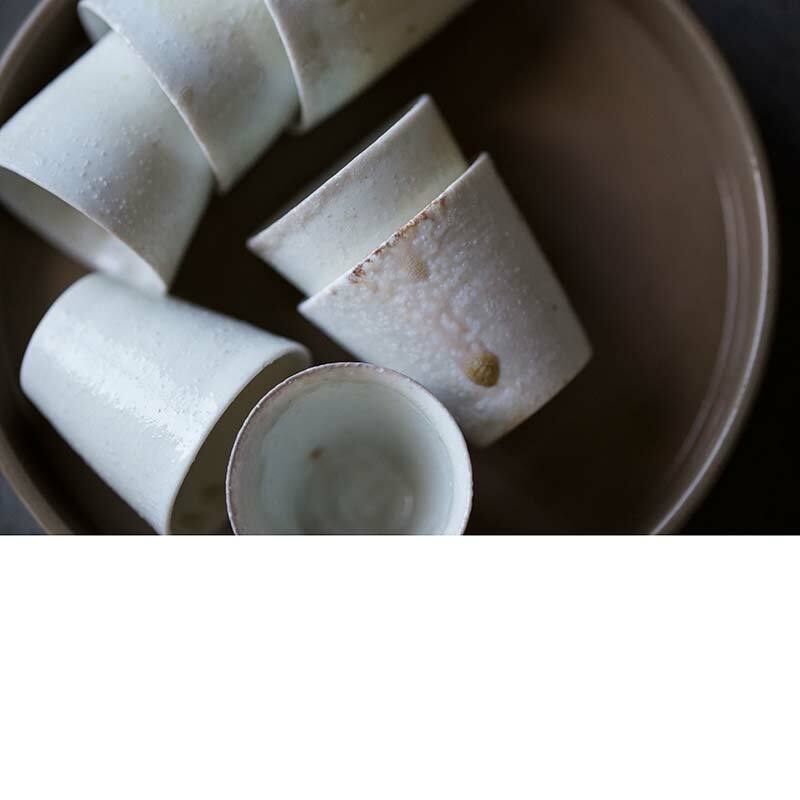 These wood fired pieces are the result of years of wood firing experience and purposeful design. 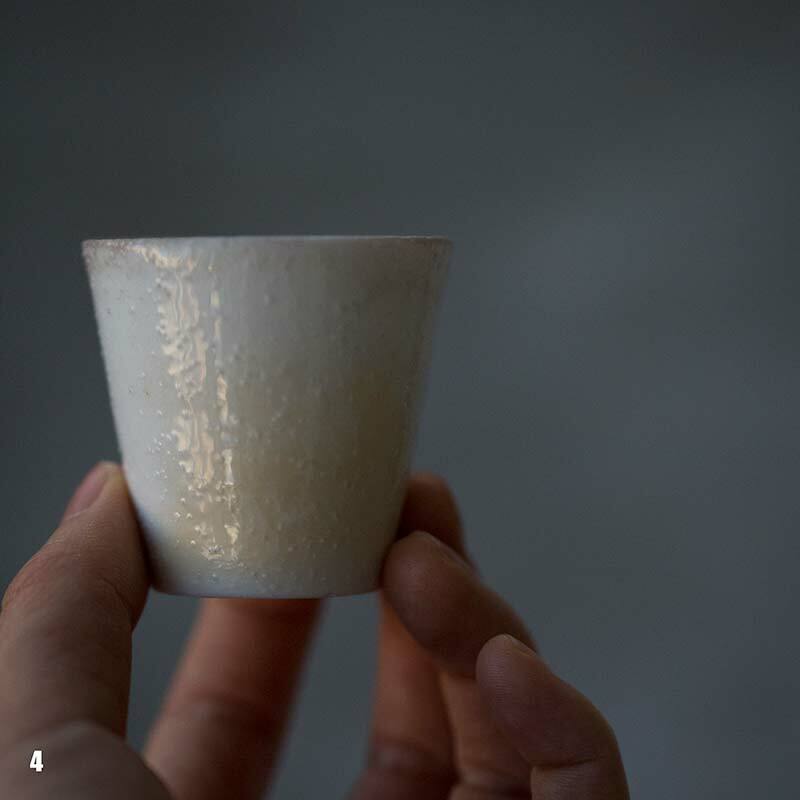 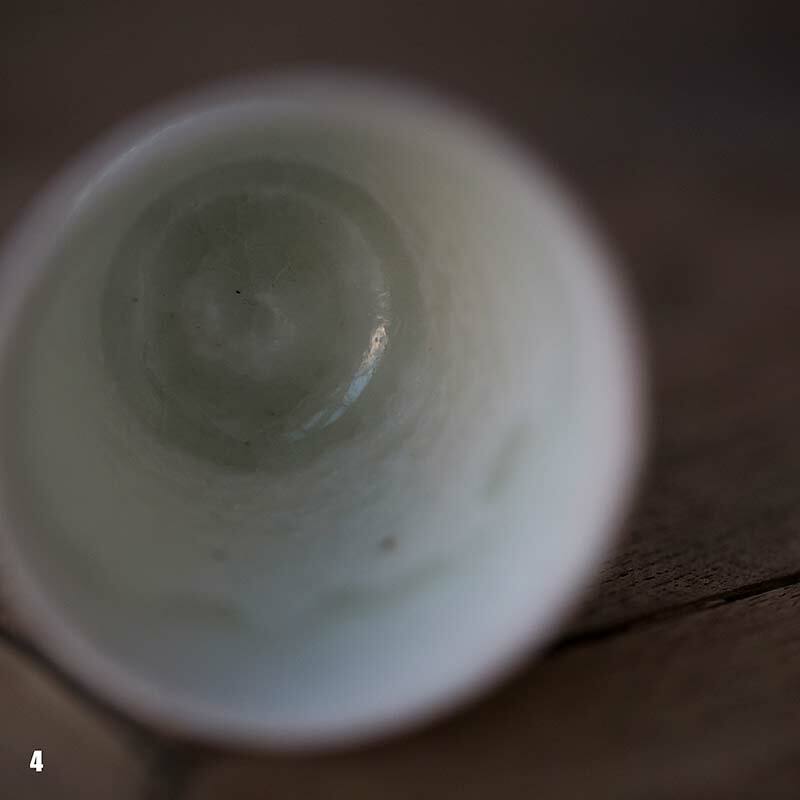 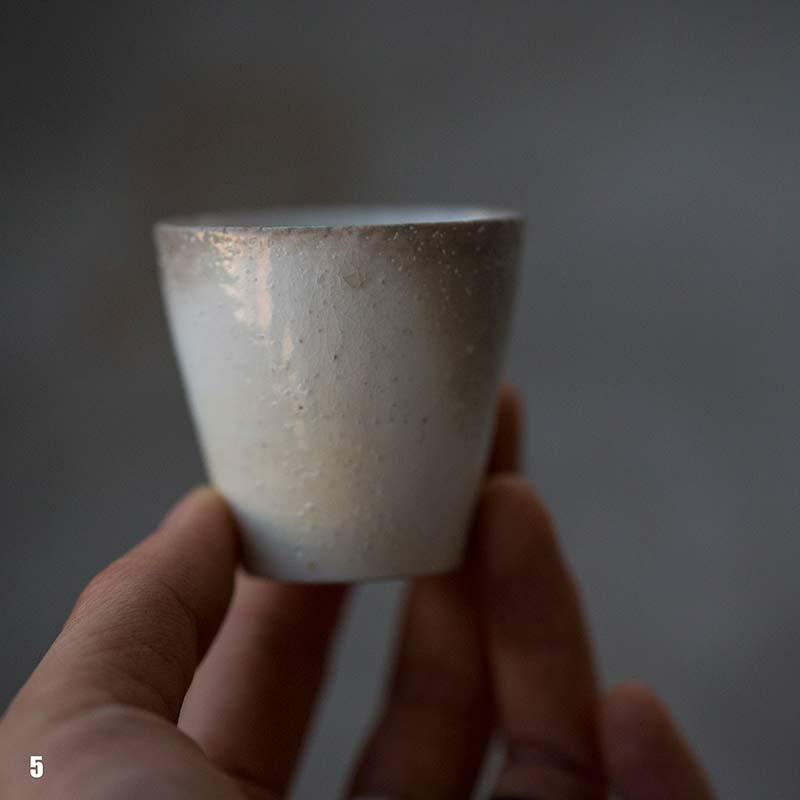 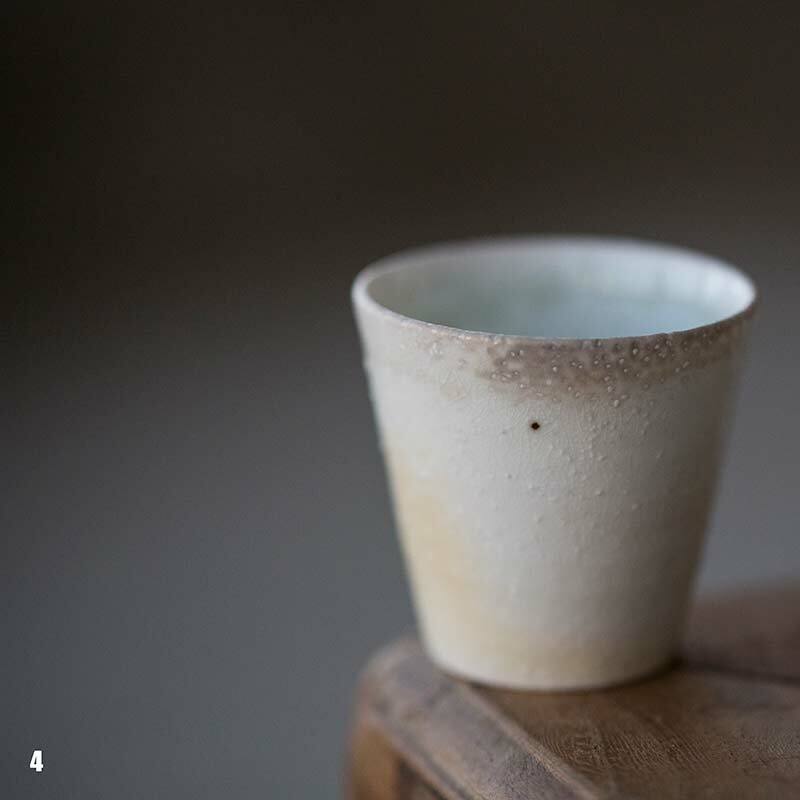 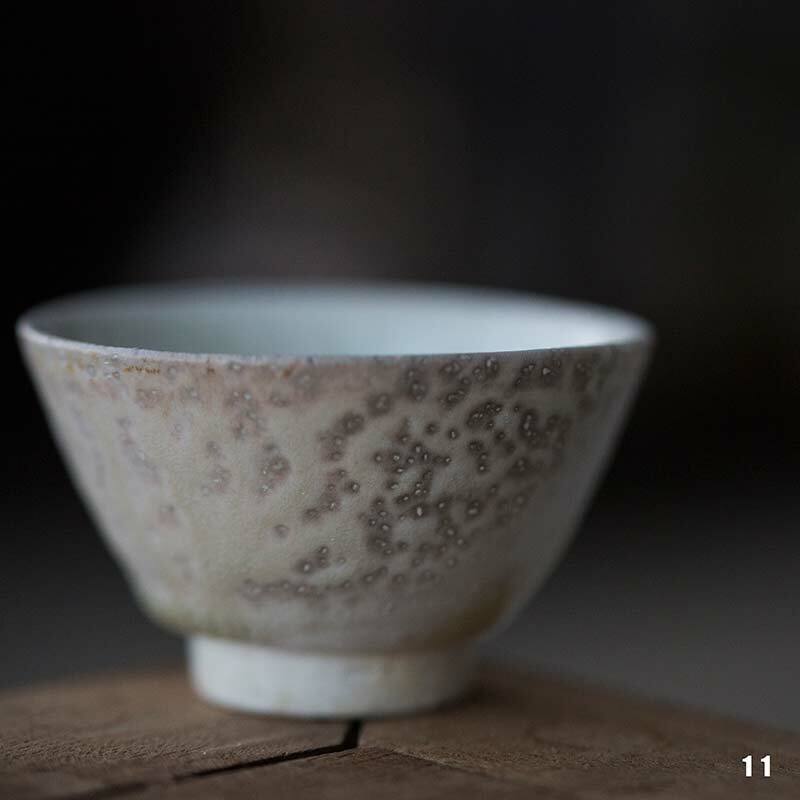 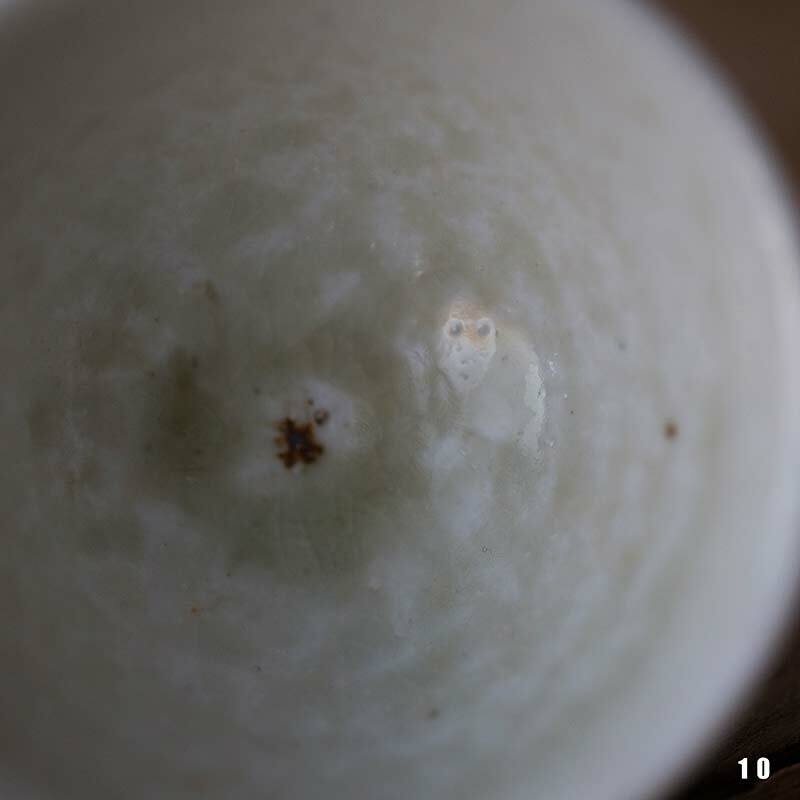 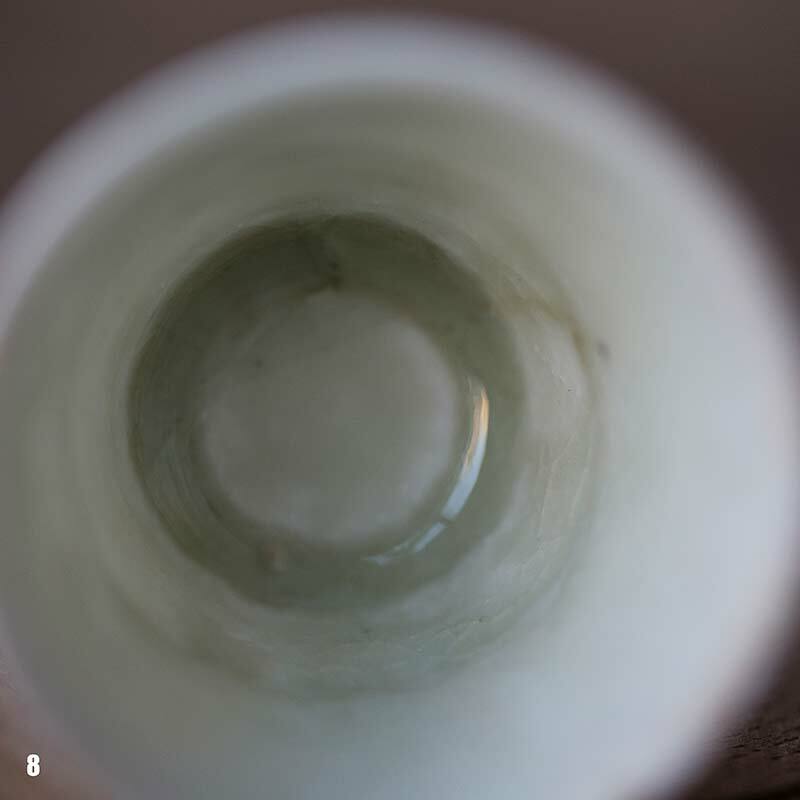 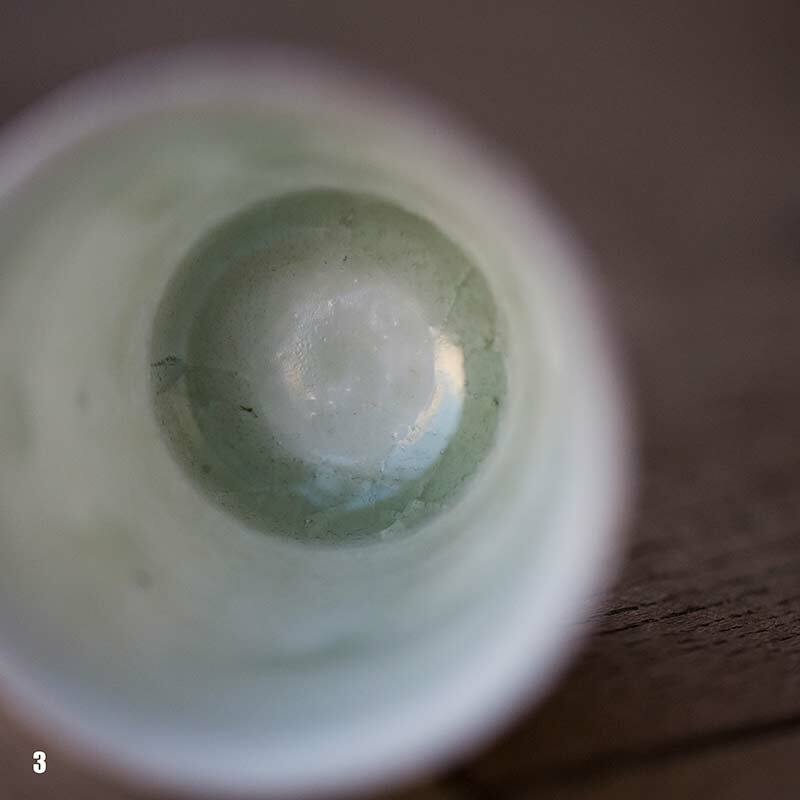 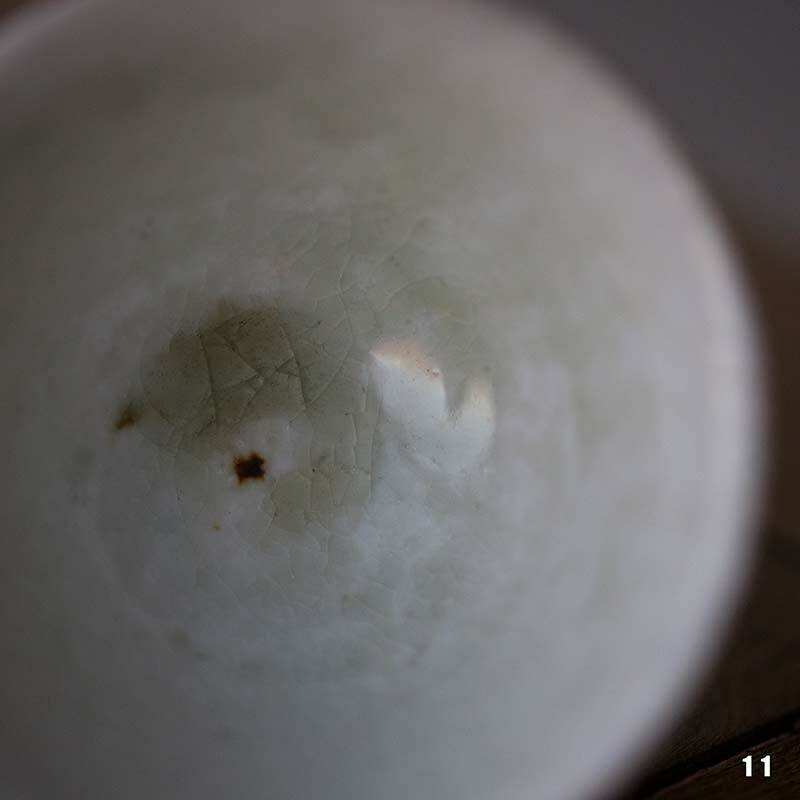 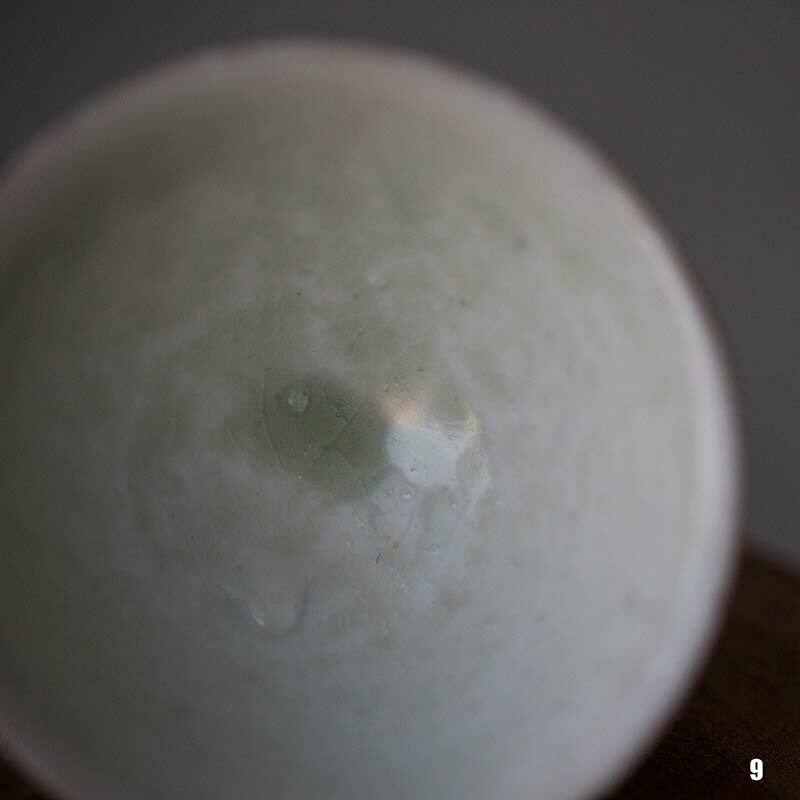 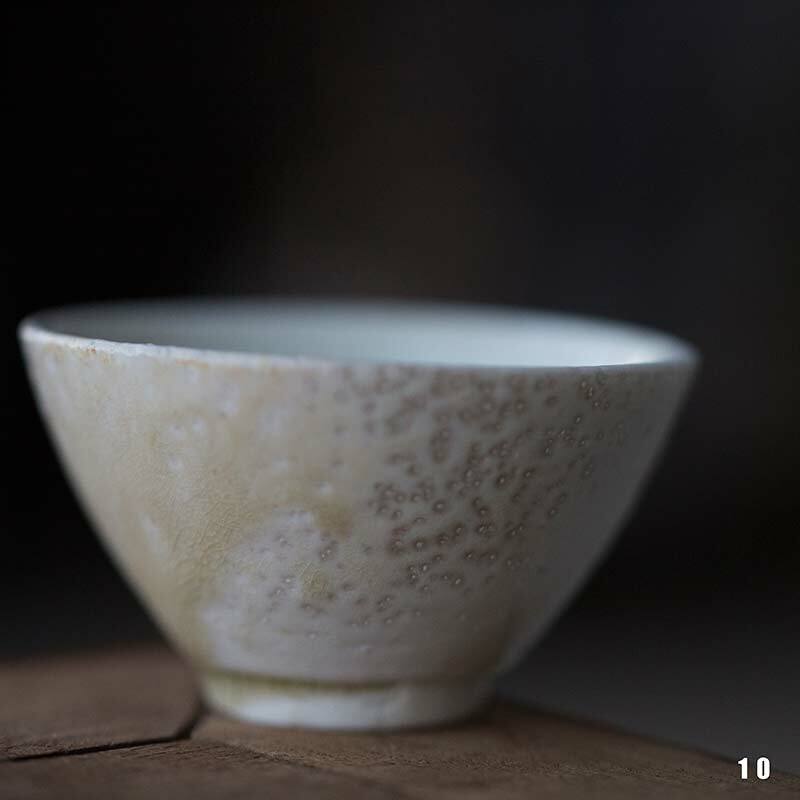 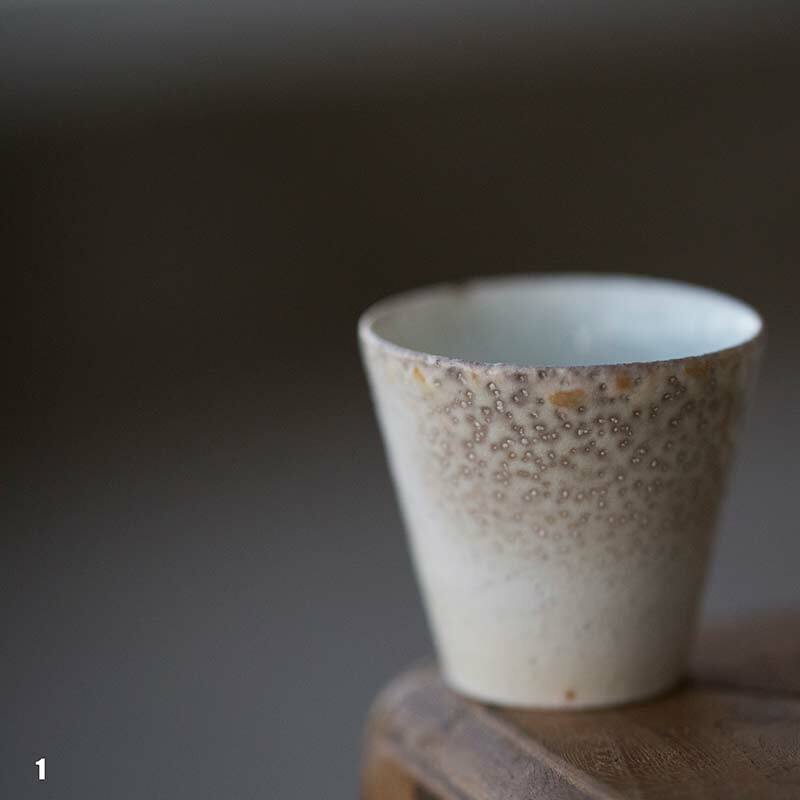 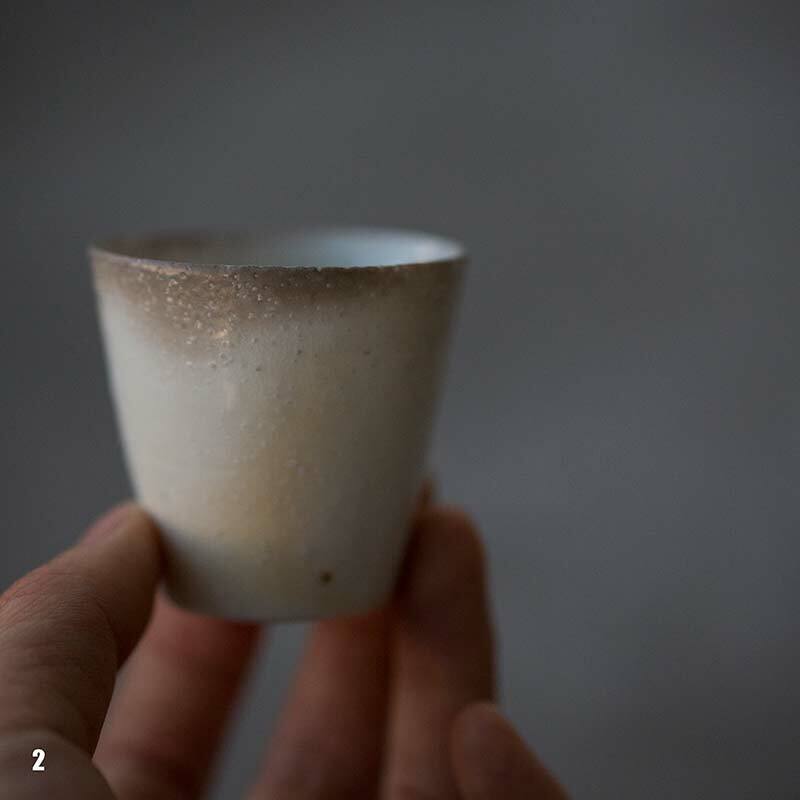 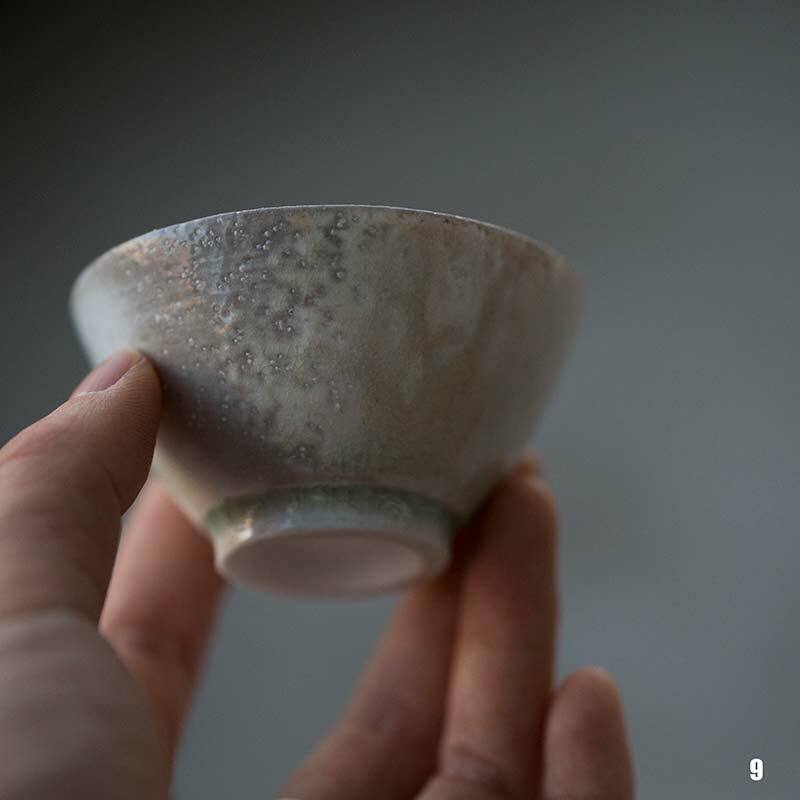 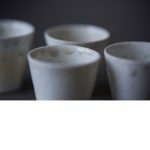 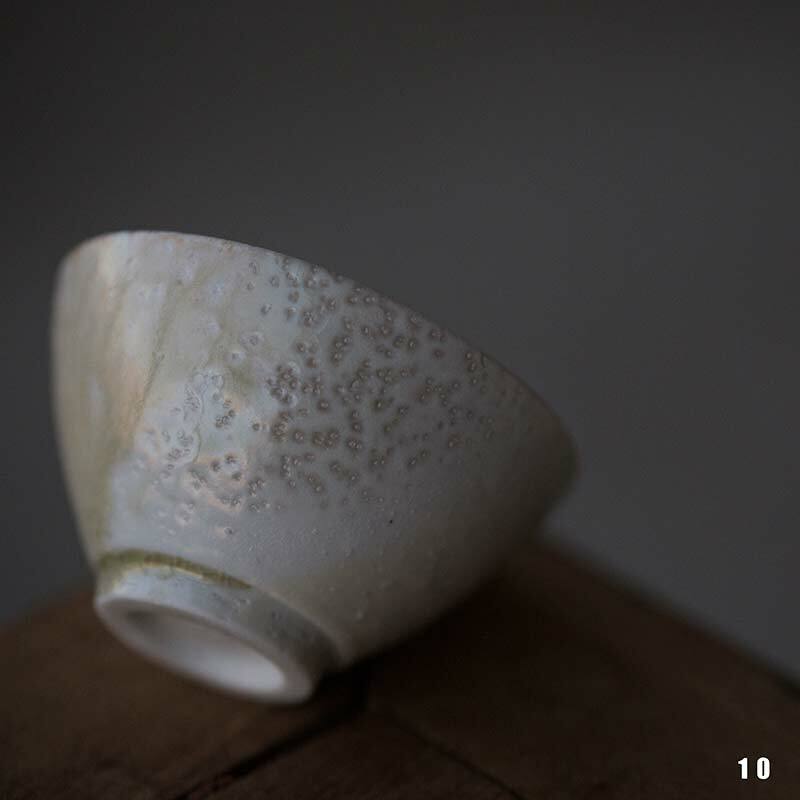 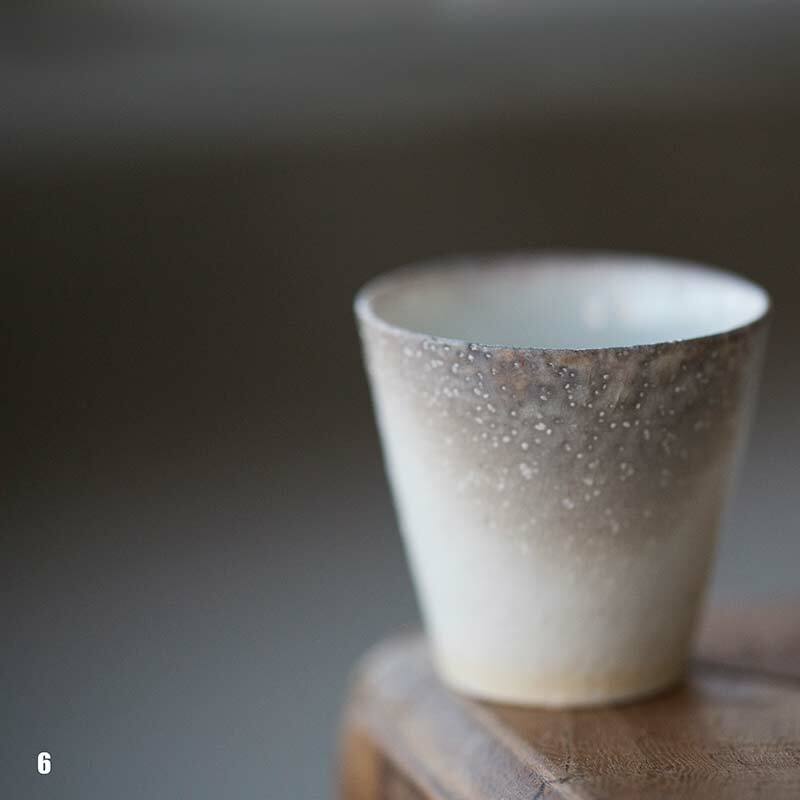 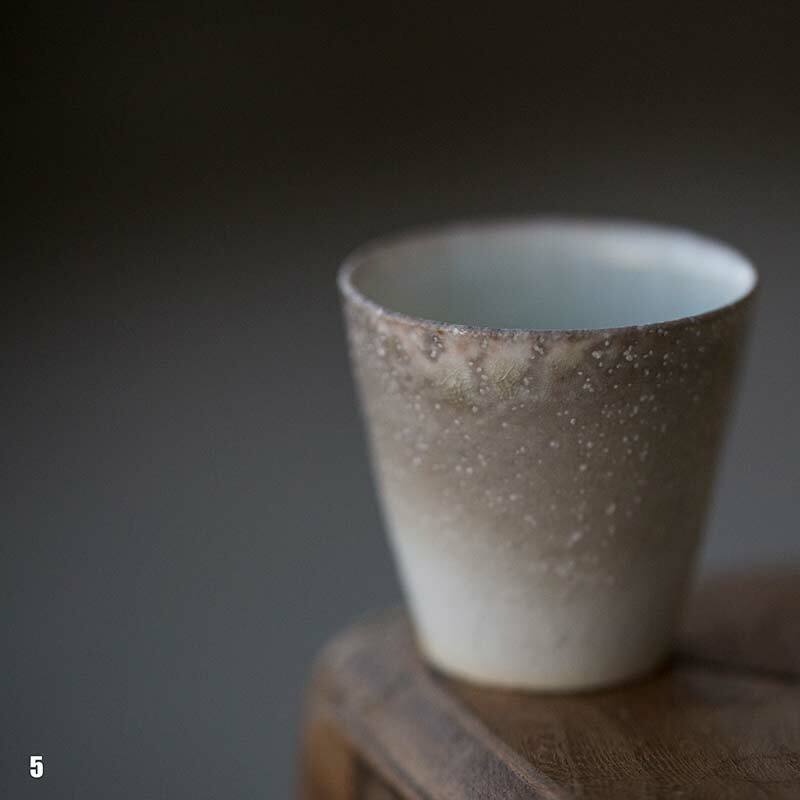 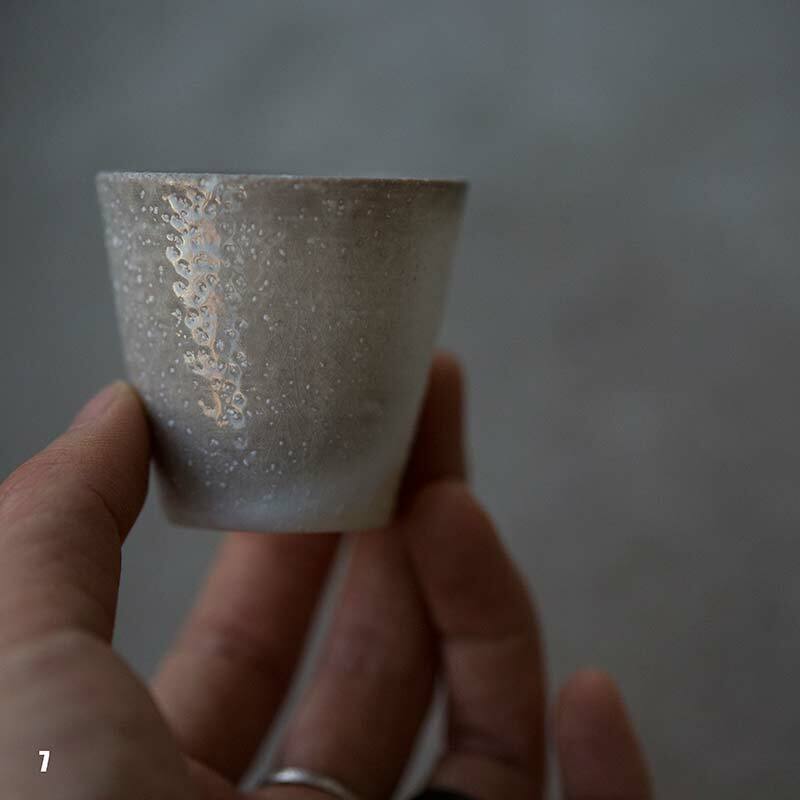 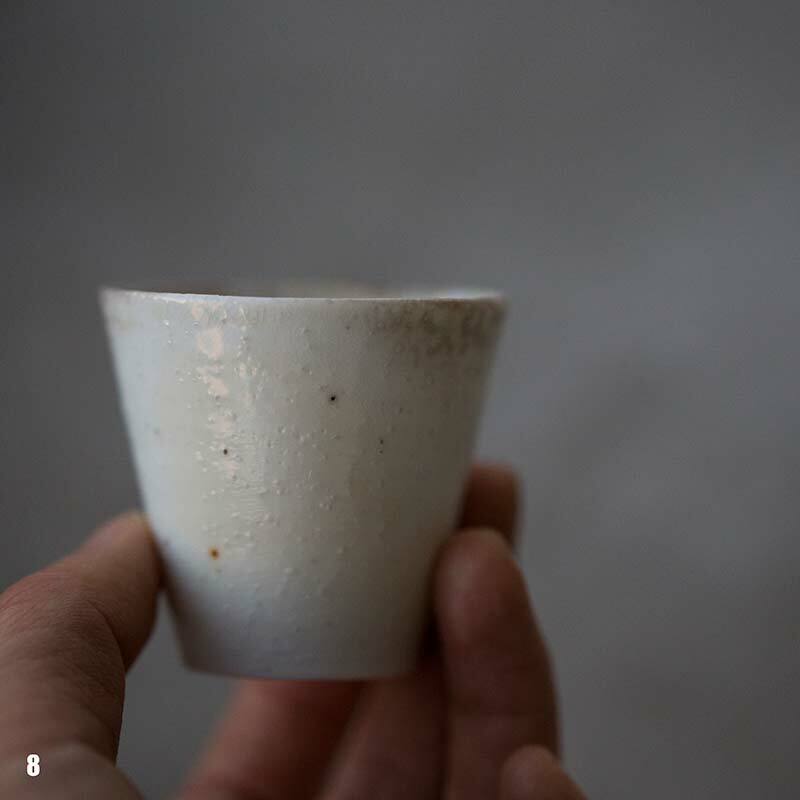 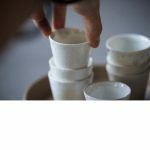 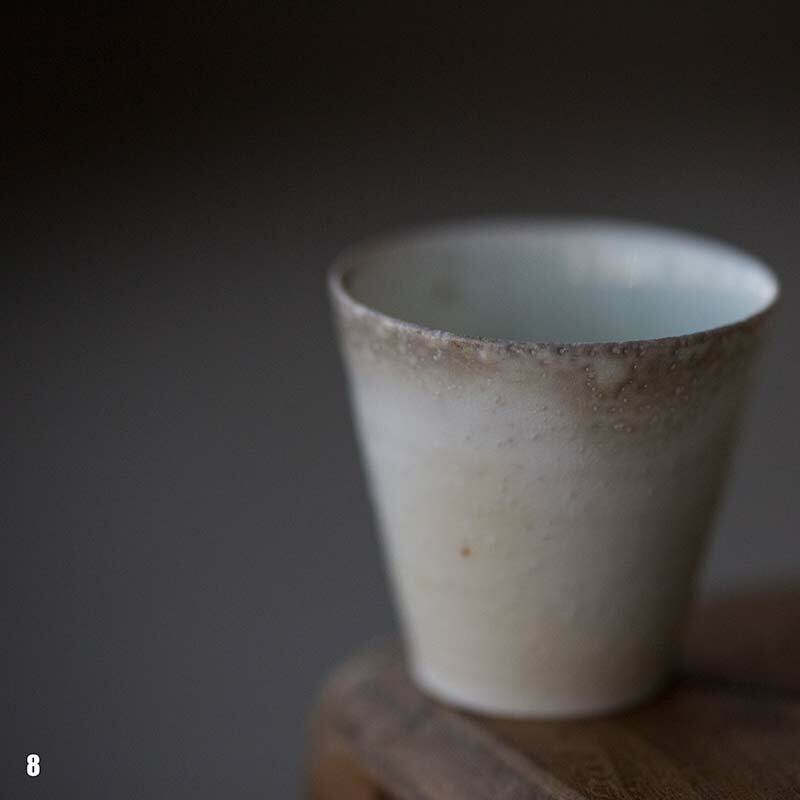 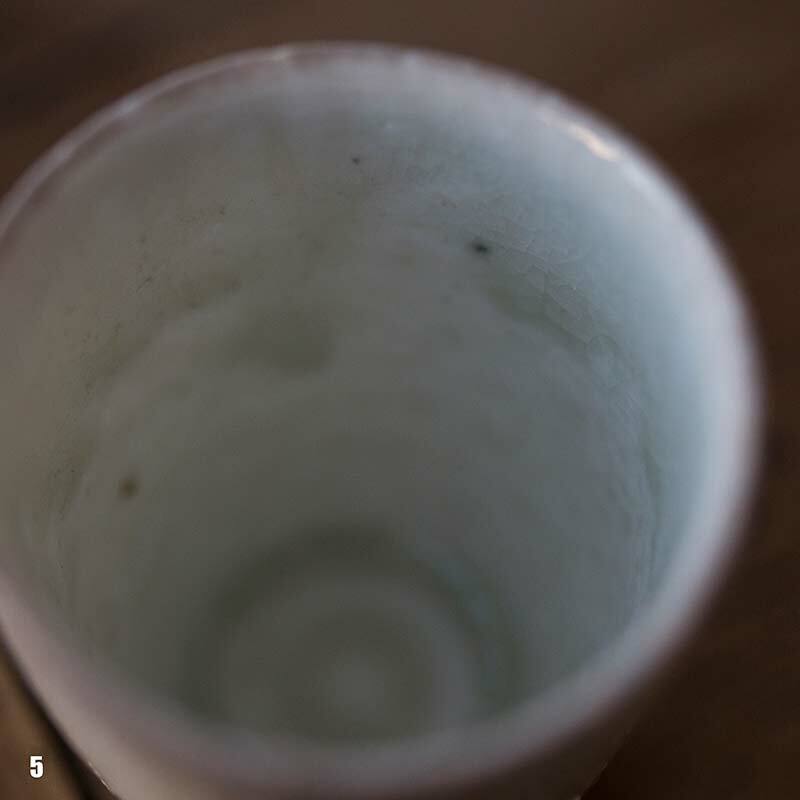 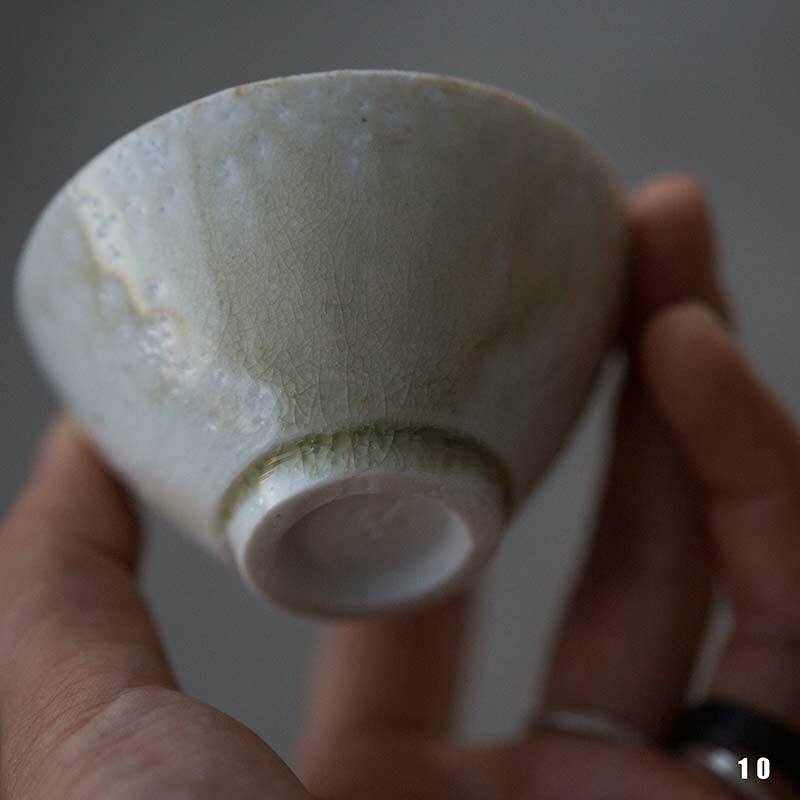 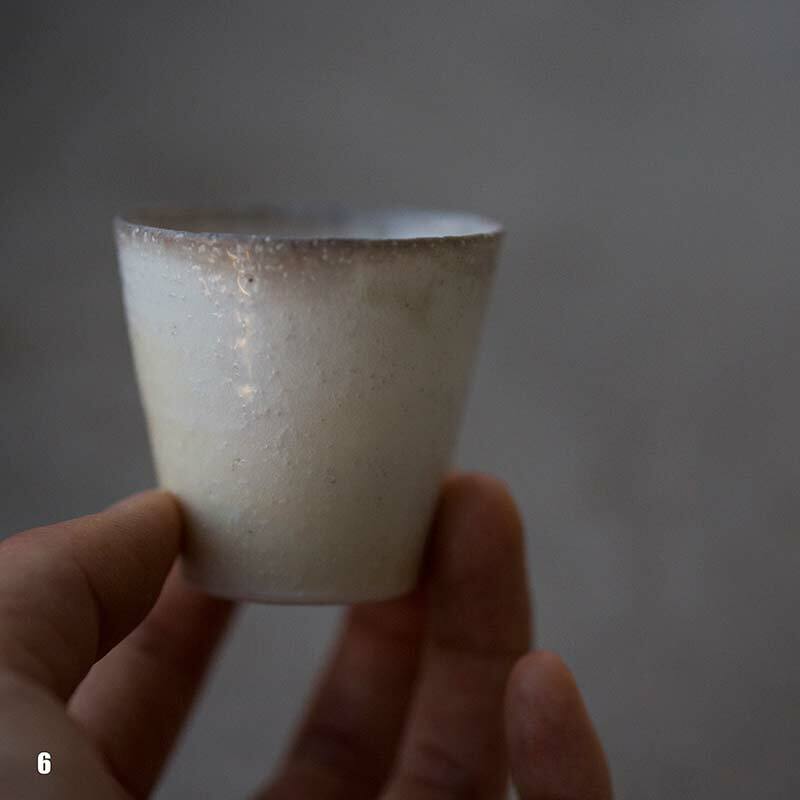 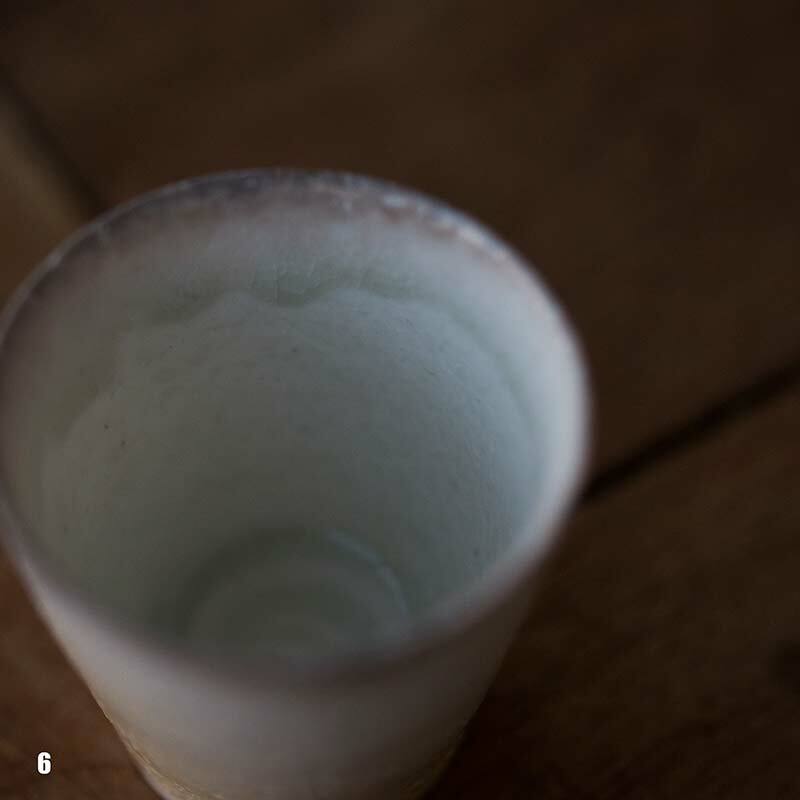 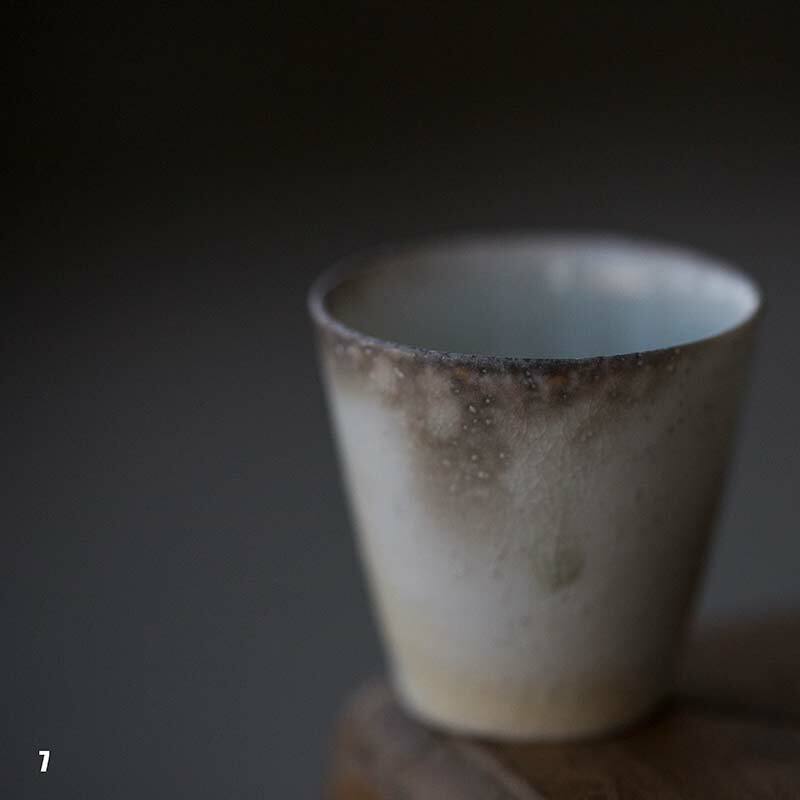 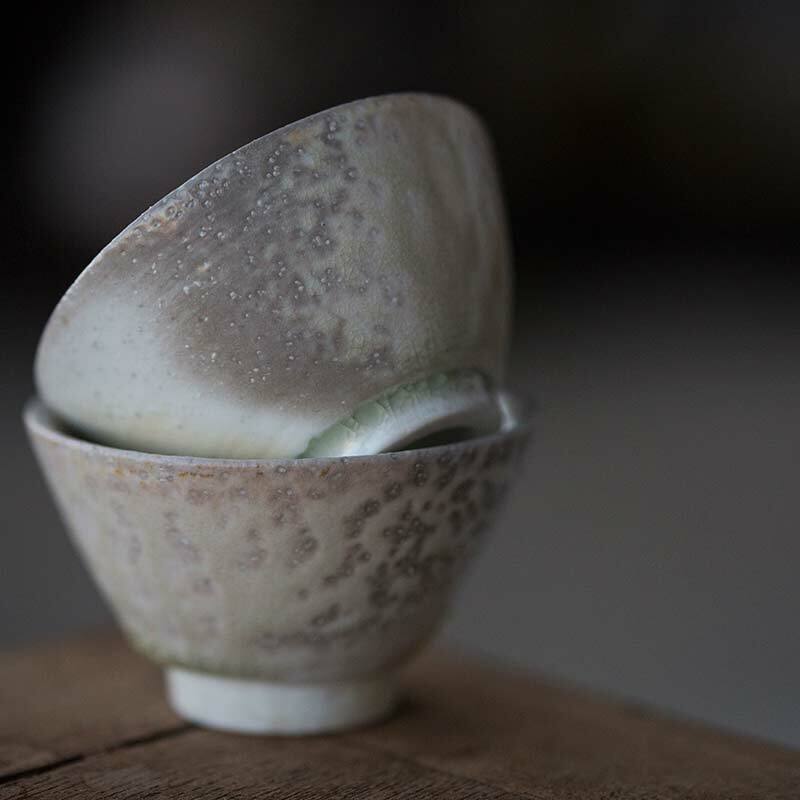 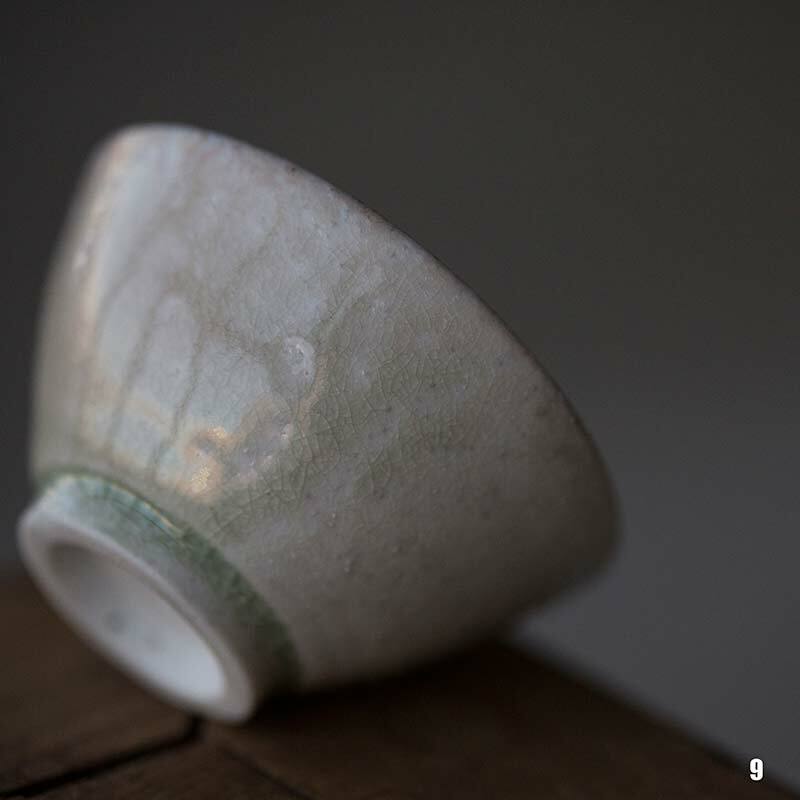 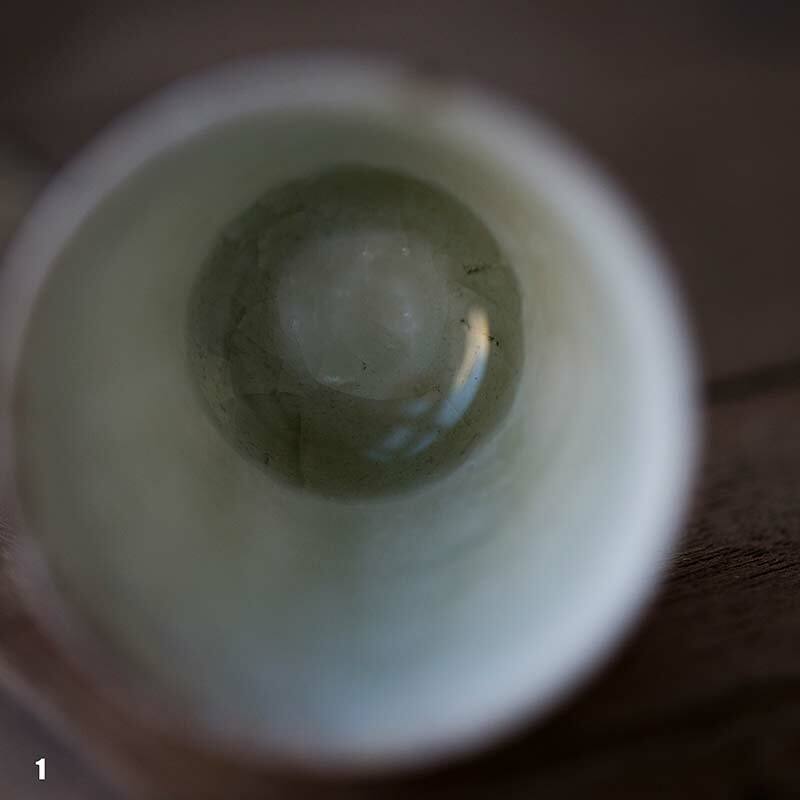 We chanced upon meeting the artist-couple behind them during a recent trip to Jingdezhen and instantly found a connection with their work. 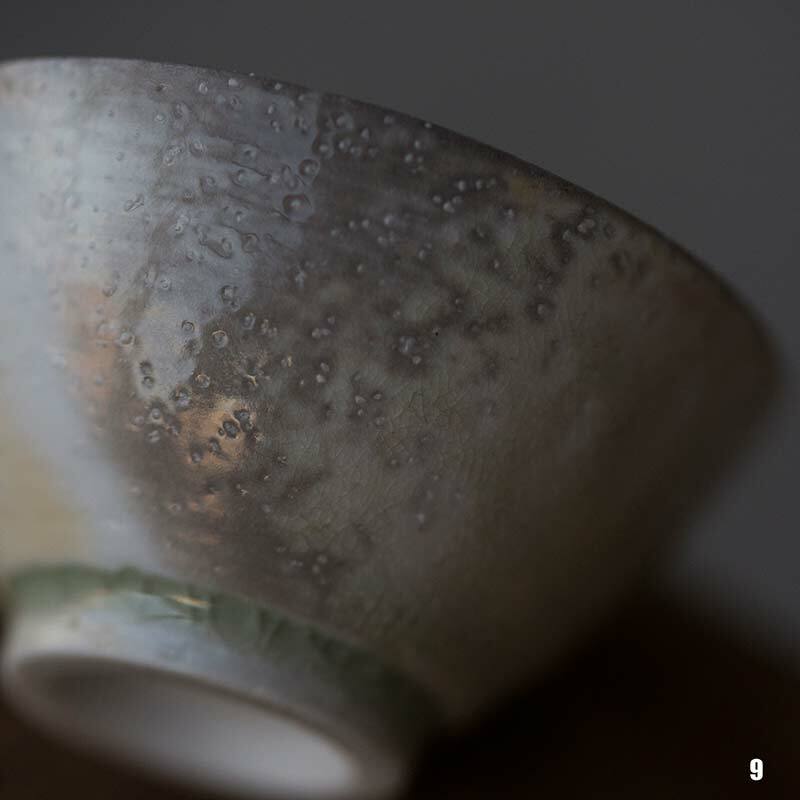 Each aspect of the design and creation of these pieces has been considered in order to achieve an elegant result, from mixing their own proprietary clay, to designing and building their own kiln. 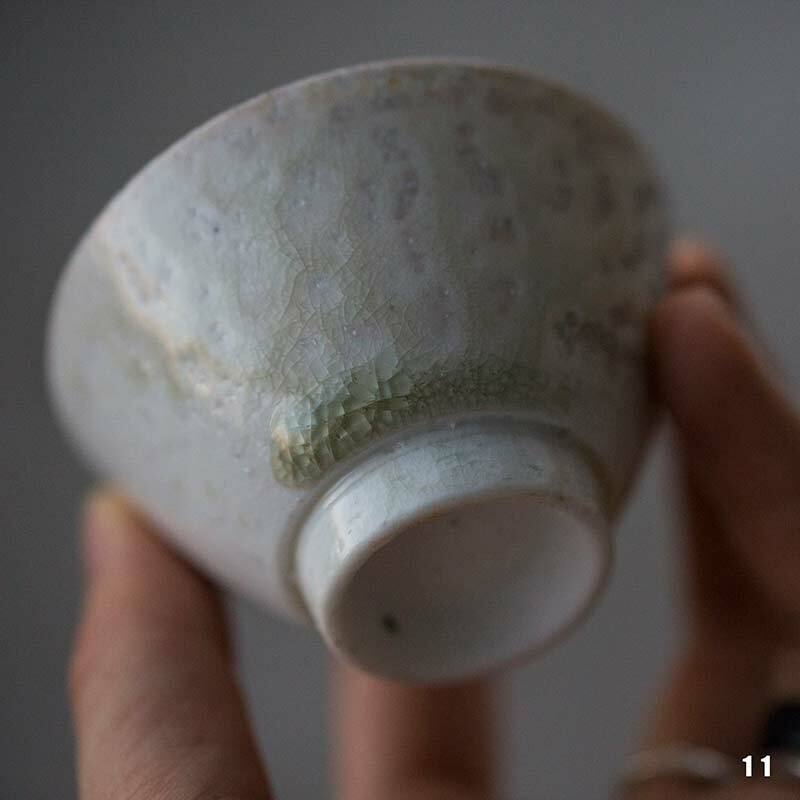 They liken the creation of their ceramics to a painted trying to paint an image in their head, combining creativity and inspiration with honed skills. 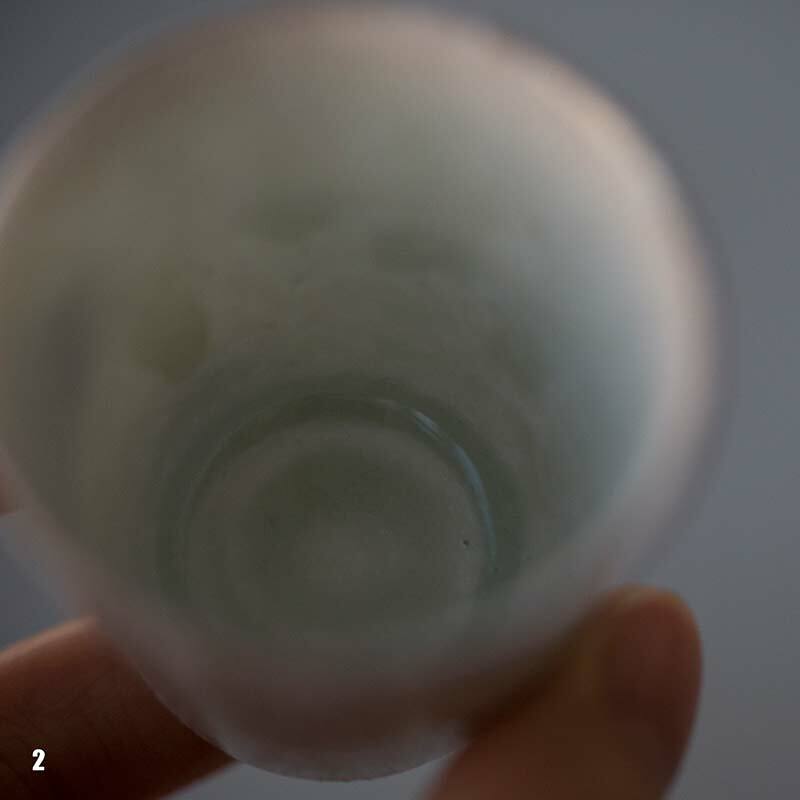 With enough time and effort, that image can be realized.